ANNOUNCING THE SPECIAL EDITION ASC-15 STRIPPED LOWER FUND RAISER!! 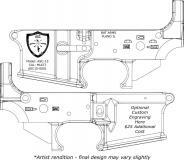 Aurora Sportsmen’s Club in conjunction with BAT Arm, LLC of Plano are commissioning a Special Edition AR-15 Lower Receiver called the ASC-15 with proceeds going to the ASC 600 Yard Range Fund! 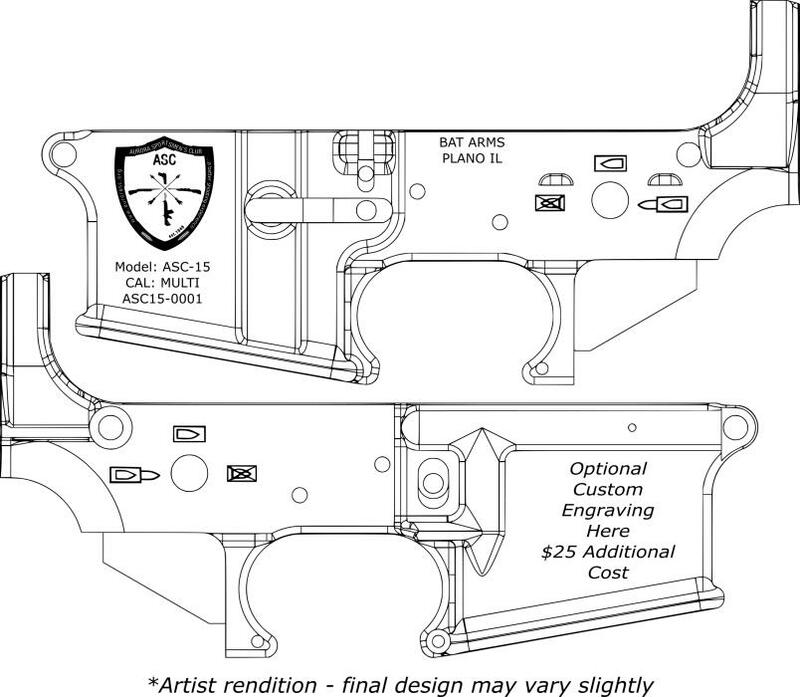 Help support the greatest sportsman’s club in the world and own a piece of it’s history by purchasing your very own ASC-15 stripped lower receiver. Don’t have the ability to assemble your own, BAT Arms will happily customize a rifle to your specifications, so you too can own and cherish a piece of ASC. We are currently planning on running 100 receivers on a pre-order basis and at this time there is no plan for “extra” inventory once the pre-orders are sold so don’t delay on getting your order in today! Also, with your paid pre-order you will have your choice of serial number (ASC15-0010 – ASC15-0100), on a first come, first serve basis. Please note specific serial number request and/or custom engraving in the comment section at checkout. We will contact you directly. The BAT Arms ASC-15 Stripped AR-15 forged lower receiver is proudly MADE IN THE USA by hard working American men and women.